Spider-Man has had a rich history in video games. He's starred in his own games across multiple console generations. He's been in ensemble games featuring the rest of Marvel's mighty pantheon. He's even been in a Tony Hawk game. But arguably none of those prior games have carried as much hype as Marvel's Spider-Man, the first Spidey game from Sony Interactive Entertainment and Insomniac Games. Earlier this week, Shacknews weighed in with our review. For today, just hours prior to the game's worldwide release, we're revisiting the Shacknews review, while placing it alongside reviews from some of our gaming brethren. Shacknews 9/10: "Throughout the studio's 24-year history, Insomniac Games has managed to earn a prestigious reputation by creating some of the most polished, charming, and visually impressive titles ever to land on home consoles. The developer's eye for what makes a game fun, to say nothing of its ability to weave action and humor together into family-friendly experiences, is likely the reason why it was chosen to develop a game based around Marvel's iconic web-slinger Spider-Man. This was a big score for Insomniac, and the resulting marriage between the developer and Marvel's classic IP has resulted not only in one of the most ambitious video games Insomniac has ever created, but arguably the best Spider-Man video game ever made." 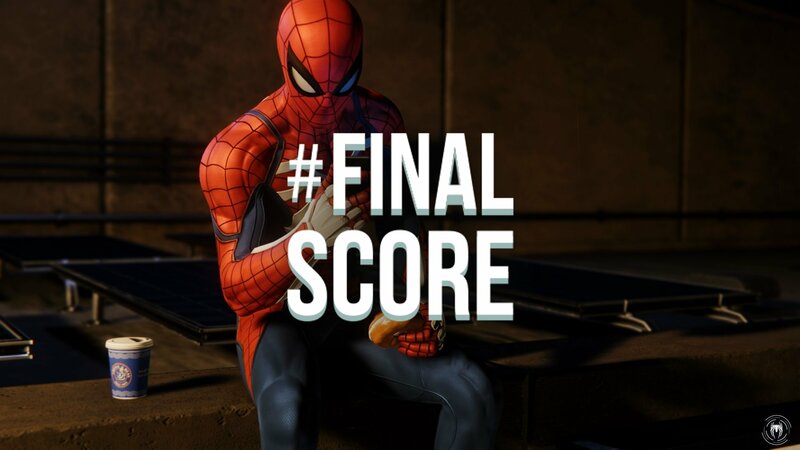 Game Informer 9.5/10: "Insomniac Games' Spider-Man is a triumph of superheroes and storytelling. Within a beautifully realized version of New York City, Spider-Man soars across the skyline with awe-inspiring grace, ducking into darkened alleys to pummel criminals in spectacular ways. The wall-crawler is front and center for most of this journey – spitting out quips and making a flashy show of heroism – but his mask frequently comes off to focus on Peter Parker's struggles with relationships and the unpredictability of life. "This complicated web is what separates this Spider-Man experience from the rest of the superhero games on the market. The story has a soul, and isn't afraid to slow down after a hard-hitting fight to show players Peter is every bit as interesting as his alter ego. Almost every move Spider-Man makes is worthy of a highlight reel, but some of the most notable moments are seen through the eyes of Mary Jane Watson, Peter, and other characters. The story is filled with intrigue, and is legitimately funny and touching." IGN 8.7/10: "At its core, Insomniac Games' new adventure strives to make you feel like Spider-Man. And, thankfully, Marvel's Spider-Man on PS4 succeeds at nearly every swing across Manhattan’s rooftops. I was left delighted at nearly every step of its 15-hour adventure thanks to a surprisingly deep tale that mines the plights of both Spider-Man and Peter Parker to great emotional success. Underpinning that engrossing narrative is an excellent set of webswinging mechanics, which -- combined with fun gadgets and plenty of puns -- makes for thrilling action in both the massive setpieces and in the quiet, confined corridors of tense sequences. Insomniac's first foray into the realm of Marvel superheroes is a continually exciting adventure whose open world and combat are only occasionally caught up in a web of overly familiar trappings." Easy Allies 9.5/10: "Every frame of Marvel's Spider-Man feels carefully crafted by a team with a deep reverence for the iconic character. Insomniac's history paints them as the perfect developer to handle the unique challenges of bringing the webslinger’s world to life, and they’ve gotten to build their own version of that friendly neighborhood from scratch. The end result is simply amazing." Push Square 9/10: "Ultimately, Marvel's Spider-Man is a must-buy, because no matter how you feel about our webbed superhero, this is just an insanely fun game to play, and it's so well put together. Just like the Arkham games did for Batman, this pretty much provides the definitive version of the Spider-Man universe outside of the comics, and leaves us begging to explore more of it in the inevitable sequel. Webslinging is bliss, combat is fantastic fun, and the extra content and collectibles are varied and infrequent enough not to overwhelm. What's more, the plot and characters are an unexpected surprise, with some fantastic performances that are genuinely touching. Marvel's Spider-Man is one of the best games of 2018 so far, and every PS4 owner will feel proud to own it as part of their library." Marvel's Spider-Man arrives tomorrow. That's Friday, September 7 on PlayStation 4.